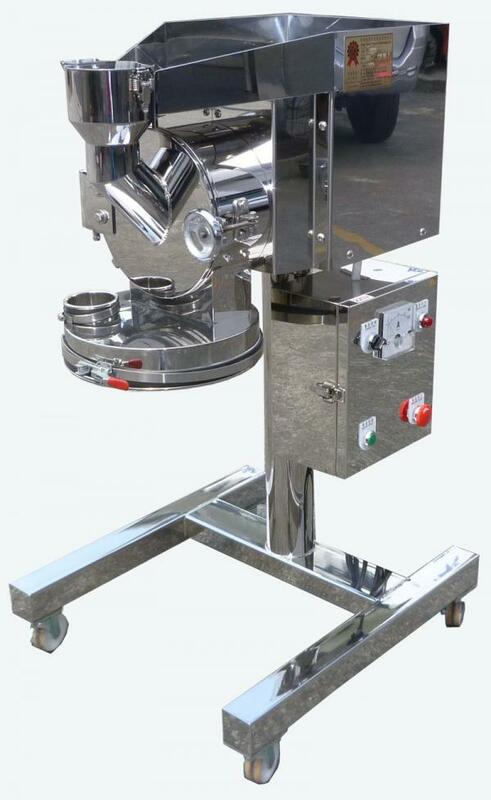 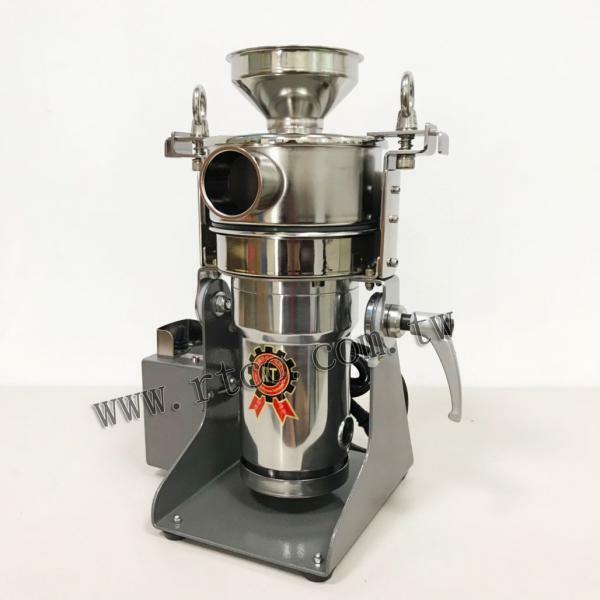 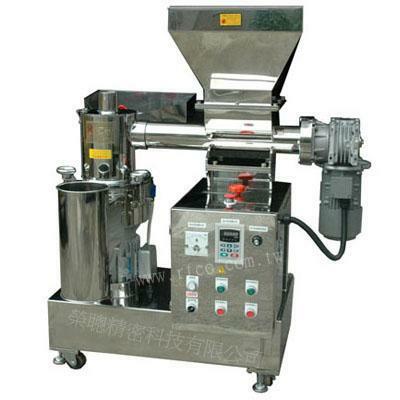 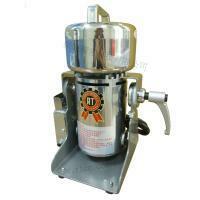 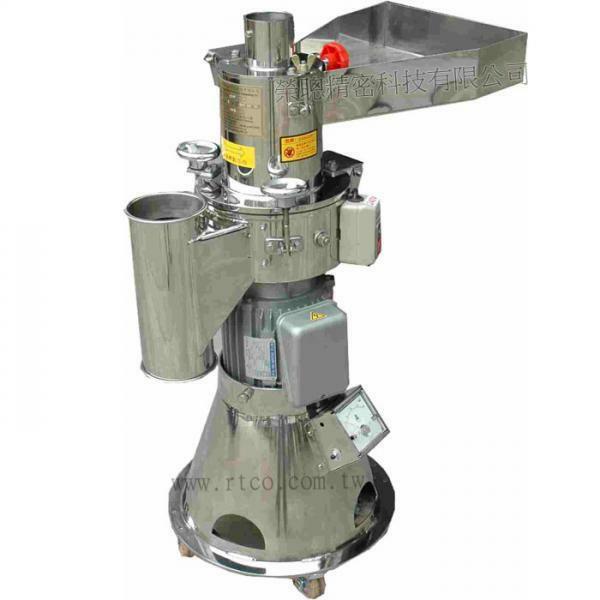 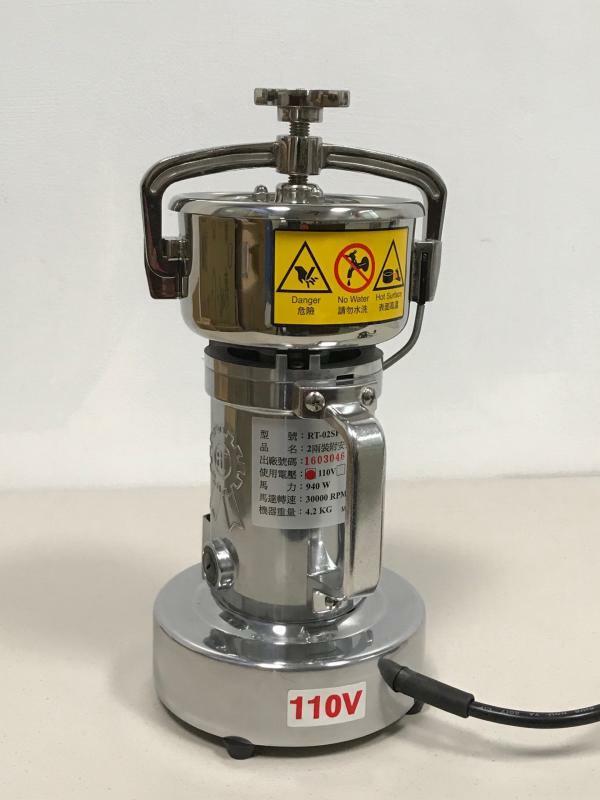 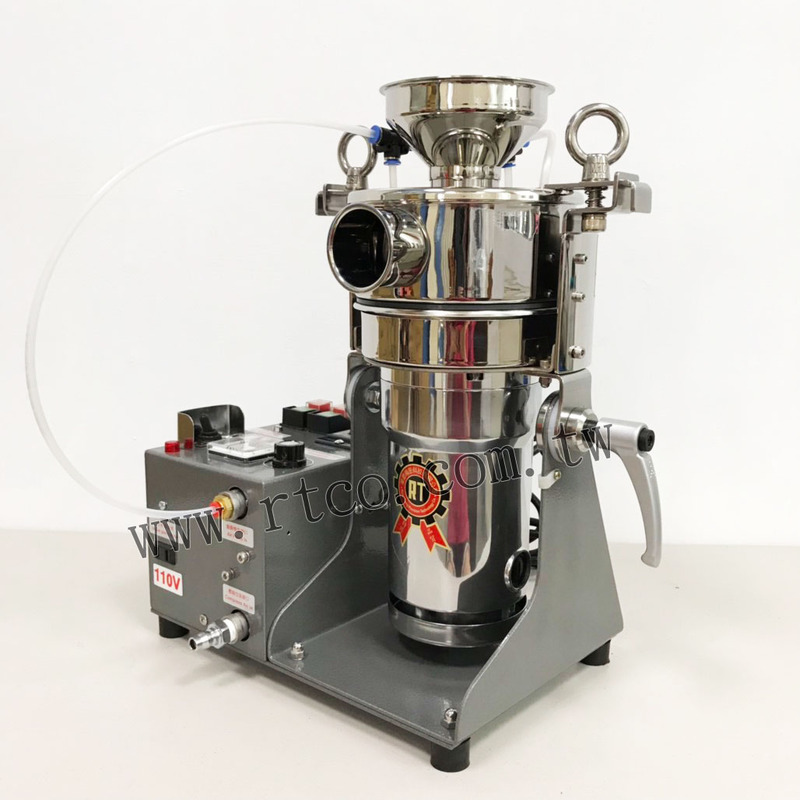 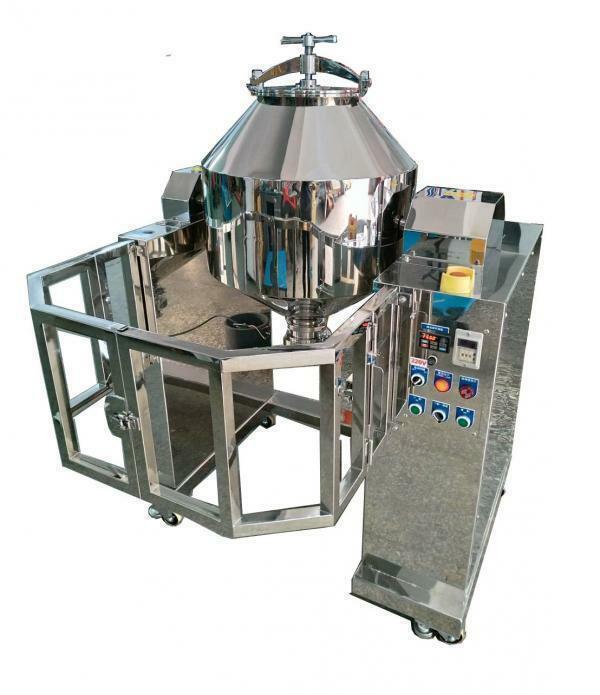 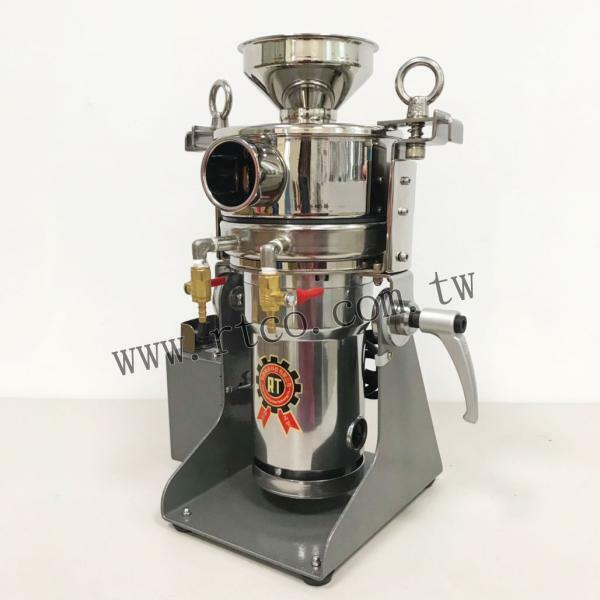 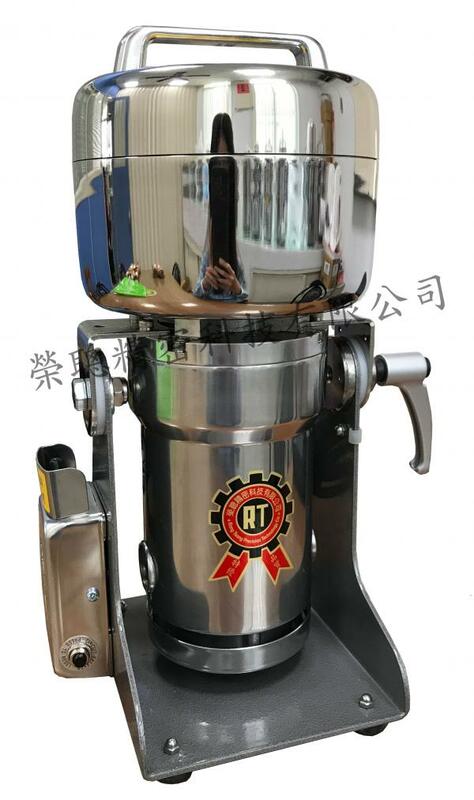 Table Type Air Pulse Ultra Fine Powder Pulverizing Machine(RT-UF26AP) - Rong Tsong Precision Technology Co.
RT-UF26AP is a continuous type grinder with material input above and material output at the side. It can grind the materials up to 200-250MESH. 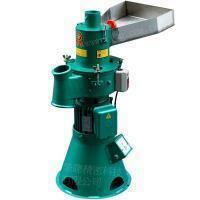 Equipped with air pulse system. 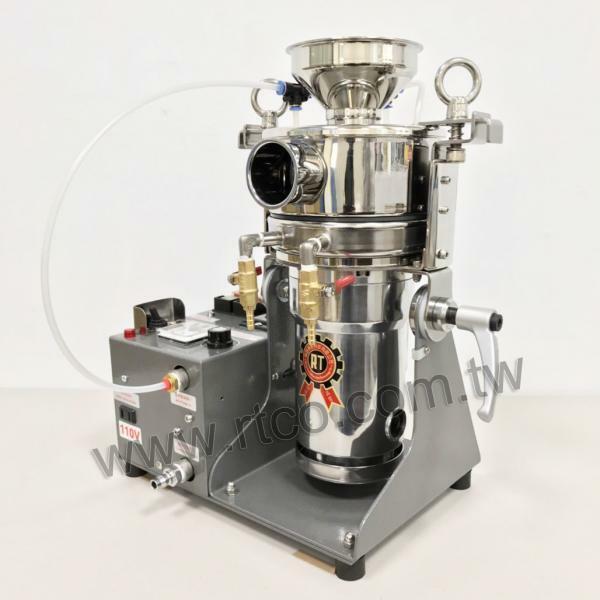 Pulse jet time and interval can be adjusted. 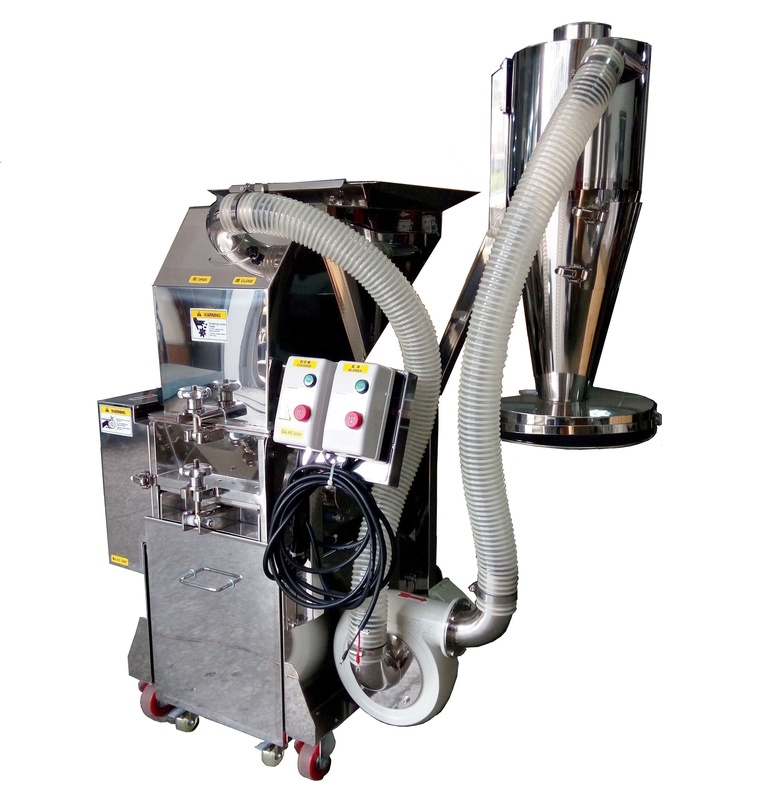 Air pulse prevents the ground powders stuck in the powder collection trough, increasing the output capacity.